Getting in a car accident is scary enough. Not knowing what to do when you’ve been in a car accident is even worse. If you are in a car accident — whether minor or major, injuries or no injuries — here are the steps you need to take to protect yourself and others. You definitely want to do the right thing in order to be protected should there ever be a lawsuit filed for injuries sustained as a result of the crash. #1 Find out if you or any of your passengers have injuries. Medical care within the first hour after an injury is critical. Even if you don’t think the injuries are severe, it’s a good idea to call 911 because it’s important to have official documentation of all injuries(even minor ones) — in the event that an accident claim is filed later. If you call 911, they will automatically contact the police for you. #2 If your car was not damaged, then move your vehicle out of the roadway so it doesn’t get hit a second time. I’ve actually seen this happen once — the car was not totaled by the first hit but it was totaled by the second hit. The second driver was in a hurry and thought he could squeeze by the car that had been in the accident. #3 If you didn’t call 911 because there weren’t any injuries, then you will need to call the police yourself to get an official report of your car accident on file. This will be very important in the event that an accident claim is ever filed. if someone else hasn’t already done so. The police need to be notified that there has been an accident so they can take a report. #4 Exchange information with the other drivers and witnesses. You need to jot down everyone’s name, address, and phone number. #5 Be cordial, but don’t discuss the accident with any of the other drivers. You don’t want to do anything that would admit fault — even if you think the accident was your fault. Instead, simply exchange your information; that’s all. Otherwise, later on this could come back to haunt you if one of the other driver(s) decides to sue you. Definitely don’t sign anything. #6 Use your camera on your cell phone (or any other camera you might have in the car) to take pictures of the scene from various angles. Be sure to capture the damage to your car, as well as what the area looked like and any hazards that may have been in the road. Only do this if you and your passengers were not injured and only if it is safe to do so. For example, if the accident took place on a busy highway or congested traffic area, it may not be safe to walk around taking pictures. #7 Whatever you do, don’t leave the scene . If you leave before the police arrive, your absence implies guilt and you could possibly be charged with hit and run. So, do not leave the scene of the accident! #8 Call your insurance company. Your auto insurance policy requires that you phone them if you are ever involved in an accident. Your insurance company will assign a rep specifically to your case who will facilitate all of the paperwork. #9 If you have trouble getting your car insurance company to cooperate, or if it’s obvious that one of the other drivers was at fault, then you will need to contact an attorney who specializes in vehicular accidents. A personal injury attorney will work with your insurance provider to collect money for hospital bills and medical expenses. It’s important to know what to do if you get in a car accident now — before you get in one! Keep these tips stored on your phone, or in the glove box of your car so you’ll have the information handy when you need it. Your car will never be the same after the accident. Here’s how to access the damage done to your vehicle. There may be some times that you shouldn’t report a car accident. 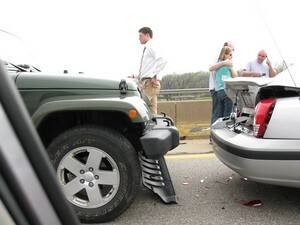 Here are some tips for filing a claim after a serious auto accident. The CAR – Car Accident Report app makes it a cinch to gather all the details pertinent to the accident into an actual report that can be e-mailed to your insurance company, the police, or anyone else. This is a free application. The Crash Kit – Car Accident Assistant app takes you step-by-step through a process that helps you get all the information you need for the police and your insurance company — including photos. Plus, it makes it easy to log the other drivers’ license numbers as well as information from witnesses. This application costs $2.99, but it’s well worth it!